Click-and-order is quickly becoming the new brick-and-mortar. Ecommerce is any business conducted online. According to the U.S. Census Bureau of the Department of Commerce, retail ecommerce sales totaled $115.3 billion in the 3rd quarter of 2017. That’s 15.5% more than the total from the same quarter of 2016. The dramatic annual increase has been consistent since 2000, with projected continuation. In an age of advanced technology, convenience and self-service, more and more customers are turning to ecommerce businesses over their brick-and-mortar counterparts. But that’s not to say that the physical storefront is becoming extinct. In a mutually-beneficial cycle, most in-store purchases are inspired by online searches and social media sites. Let’s take a look at a common 21st century scenario. A customer is interested in a product they’ve never tried. They search for reviews, descriptions and photos of the product online. Once interested but not entirely convinced to buy, the customer opts to make their first-time purchase in store. Satisfied, they establish brand trust and continue to buy products from the business’s online store out of convenience. This brick-and-click model allows brands to appeal to the modern customer who expects both options. Consider how often you pull your smartphone out to search for or buy something on the go. Your customers want to do the same. Mobile devices are our lifelines to contacts, news, information, and, today more than ever, our payment needs. 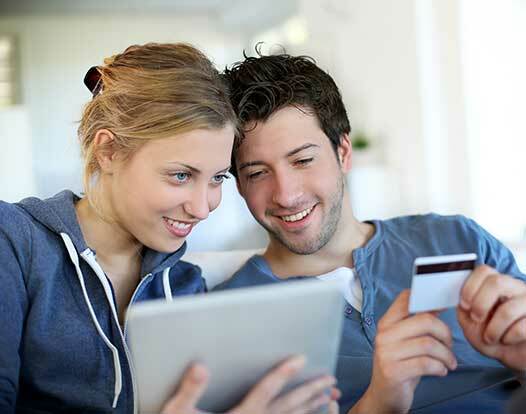 Websites optimized for mobile access have become an ecommerce staple. Visual appeal is a huge factor in capturing customer attention, establishing trust and building your brand’s credibility. Businesses that invest in creative, high-quality photos and videos to make beautiful websites, and advertise products on highly visual social sites, like Pinterest and Instagram, get more exposure and see higher conversion rates. Next-day, and even same-day, delivery is beginning to take center stage as a deciding factor for customers when they’re comparing online businesses. Ecommerce denotes buying speed, convenience and efficiency—so why shouldn’t our delivery methods do the same? 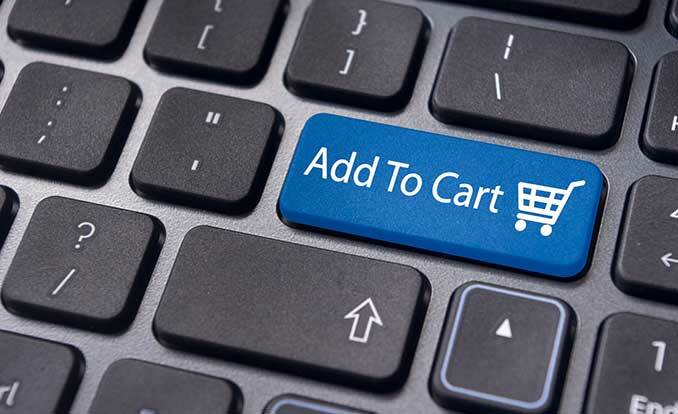 Online stores can save shipping addresses and billing information (with cardholder data in the form of a secure token), so it only takes one click for a repeat customer to purchase something new. When that lightning speed extends to your delivery options, you are truly able to give customers what they want. Application Programming Interfaces (APIs) and webhooks allow businesses to gather information about browsers and buyers and use it to recommend products and services they are likely to enjoy. It saves them time in their product searches and puts your business at the forefront when they decide to buy. Automation can stem from your payment gateway, ecommerce platform (think Shopify, Magento, WooCommerce, etc. ), and even your merchant service provider through recurring billing plans. Automated order processing, invoices, marketing messages, discounts, reminders—you name it—free up your precious time. And, automation produces measurable returns on investments so you can quantify how well your strategies are, or aren’t, working. Online shopping is showing no signs of slowing. According to Statista, at this rate it is expected to grow by 246.15% globally by 2021. Are you thinking, “This can’t possibly apply to my small business!”? Or, “My online store is doing just fine as is…”? At BankCard USA, we’re all about scalable solutions, exceeding “just fine” results, and guiding decisions that contribute to long-term success. We can meet you where you are, offer the resources you need to build, and set your own ideas as the limit. We offer extensive customer support with every payment gateway we sell so that you can discover the depth of its functionality, and continued integration support so that you can make your website one that truly stands out to customers. The influx of new customers and loyalty from existing ones quickly supersedes the initial investment of making the leap into ecommerce.